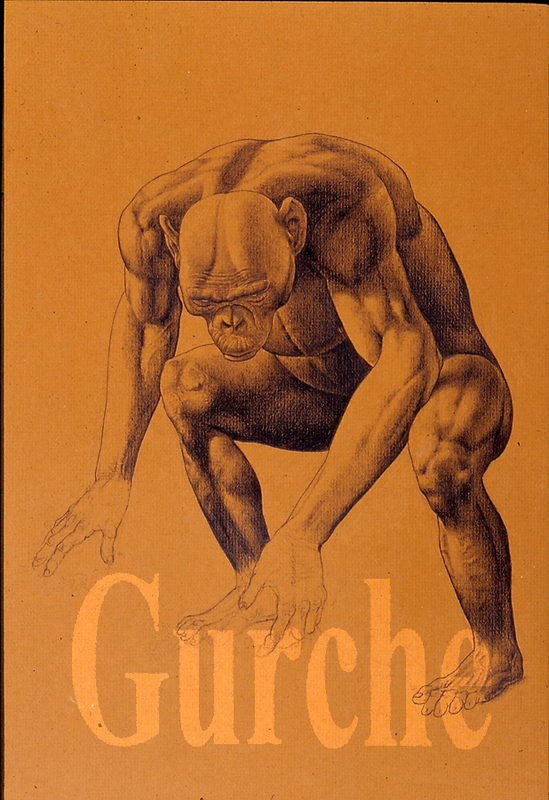 A. africanus and A. afarensis males walking. Created for National Geographic Magazine. Graphite, pen and ink. 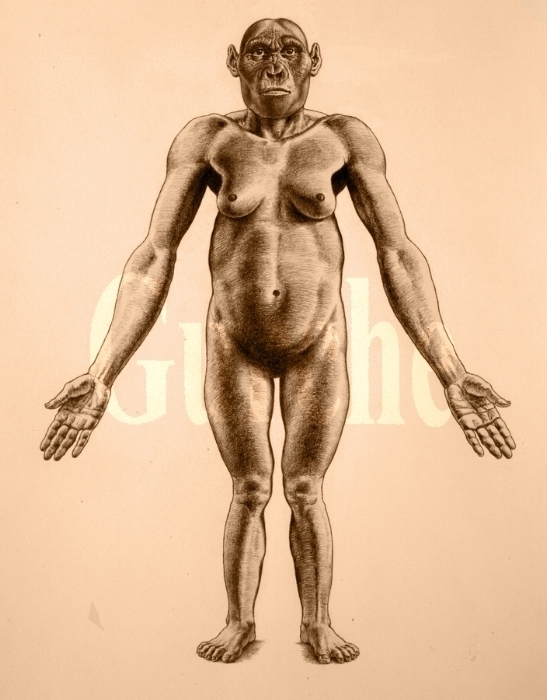 A. africanus male figure drawing, based on Stw 431, Sts 7 and Stw 505 . A. africanus male skeleton based on Stw 431, Sts 7 and Stw 505. Created for National Geographic Magazine. Graphite on colored board. 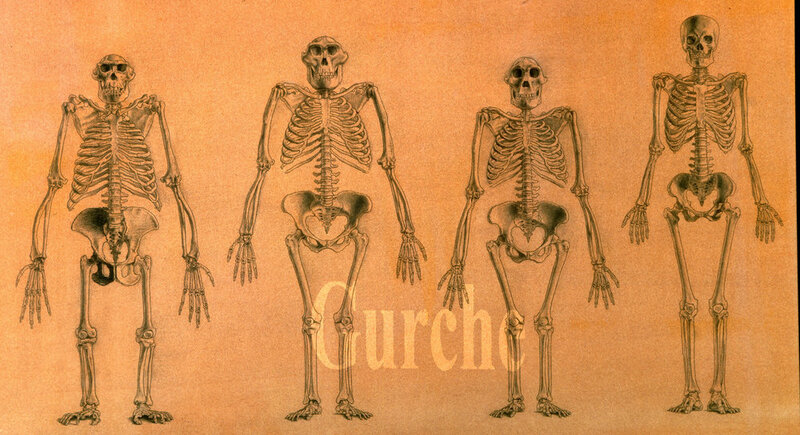 Skeleton of A. africanus male (second from right) compared with those of A. afarensis, chimpanzee and human males. Created for National Geographic Magazine. Graphite on colored board. IMG 817. 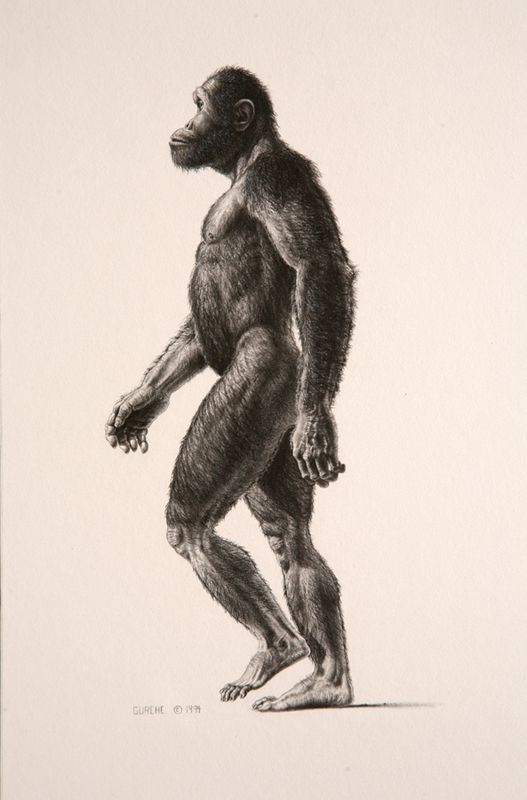 A. africanus male figure drawing based on Stw 431, Sts 7 and Stw505. Created for the Smithsonian Institution. A. africanus adult female, based on Sts 14, 17 and others. Created for the Smithsonian Institution. A. africanus. Phases of the reconstruction of Sts 5, created for the Smithsonian's Hall of Human Origins. A. africanus adult male and female with children. Young A. africanus based on the Taung child. Reconstruction of adult male A. africanus. Alternate reconstruction of Australopithecus africanus with closed mouth.